Thank you to all AAGL members who participated in the recent online survey regarding opinions on the current state of coding for endometriosis surgery! We had a total of 485 responses, with nearly 79% (385) coming from US members and 21% (100) from international members. This speaks to the fact that issues surrounding endometriosis coding are global in nature, as many countries’ coding mirrors the US system. The figures below depict the primary findings of the survey; respondents demonstrated broad support for the initiative of revising endometriosis surgical coding. 8% support a quantitative criterion for different levels of endometriosis surgery. With additional free text responses, survey respondents demonstrated enthusiastic support for changes to the CPT coding for endometriosis which may better quantify the various degrees of surgical work and dissection performed. As with any survey, it is important to consider the effect of response bias, especially given that a fraction of the total AAGL membership participated. 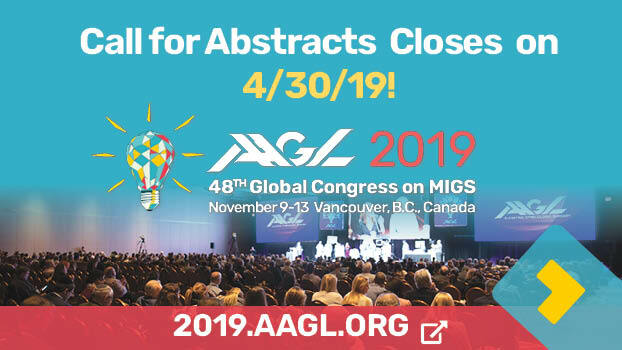 This highlights the importance of member participation in these opinion gathering endeavors so that the AAGL leadership can ensure our initiatives are in line with member goals. Although there is not an expeditious or particularly straightforward road toward revision of CPT coding for endometriosis, it is an issue that the AAGL Endometriosis Coding Task Force will be developing further along with the members of the Coding Committee and other key stakeholders. It is our hope that a CPT coding system can be developed that will benefit patients, providers and provide more accurate depiction of the surgical procedure. It is the ultimate goal of this Task Force to collaborate with our partners including ACOG, while continuing to advocate for the best interest of the women we serve. While this work is ongoing, please read the informative article by Dr. Jon Hathaway describing the methodology on how to maximize reimbursement within our current coding system for endometriosis in the following article. Again, we thank everyone who participated this important survey. We will work to make your voices heard. Sarah Cohen, MD, MPH is a member of the AAGL Board of Directors; Assistant Professor, Harvard Medical School; Brigham and Womens Hospital, Department of Minimally Invasive Gynecology in Boston, Massachusetts. Amanda Nickles Fader, MD is a member of the AAGL Board of Directors; Associate Professor Johns Hopkins Medicine Department of Gynecology and Obstetrics in Baltimore, Maryland. 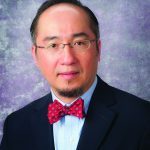 Dr. Lee is the Secretary-Treasurer of the AAGL Board of Directors and a member of the AAGL Coding Committee; Director, Minimally Invasive Gynecologic Surgery and Clinical Professor at Magee Womens Hospital, UPMC in Pittsburgh, Pennsylvania. Previous story Decoding Coding: What is the Best Way to Code for Endometriosis? NewsScope © 2019. All Rights Reserved.